I found a strip of negatives that had kids playing in the Capaha Park Pool, followed by four pictures of kids climbing all over a train locomotive. To my surprise, the kid on the left in the white shirt doing an “I’m Cool” pose was my brother, Mark Steinhoff. Is it the same locomotive? I was all set to proclaim it the same engine, except that it was facing in the opposite direction. I knew that it had been worked over to make it safer and to take out asbestos several years ago, so I thought maybe it had been set up differently after it was fixed. Then I looked more closely at the locomotive and determined that it didn’t look like the same one. The boiler is skinnier, the older train didn’t have a skinny smokestack and the round objects on the top of the boiler are missing. Is it the Arena Park Train? 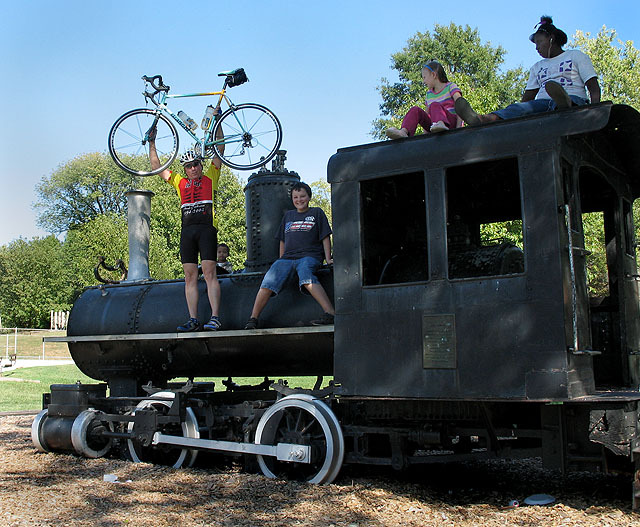 Here’s a picture I shot of “Hoppy,” the train at Arena Park, in October 2008. There are several similar features, but I don’t think it’s the train in the picture from the 1960s. 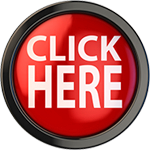 If nothing else, look at the placement of the bell. It’s in the middle of the boiler, not the front like in the other two pictures. If I had to guess, parts were changed on both trains when the engines were taken apart for modification and asbestos removal. I’m going back to my original opinion that the old photos were taken on the train in Capaha Park and that cosmetic changes were made sometime later. Feel free to chime in if you know the real story. I’d like to know more about what was done to the trains between the mid-1960s when I shot these pictures and the late 2000s when I revisited them. Train buffs are welcome to correct any errors in how I described the locomotives and their parts. 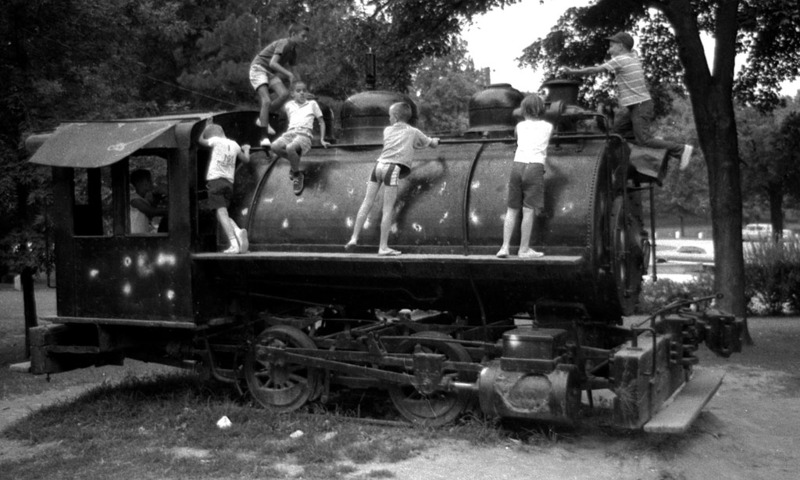 I loved climbing on those trains when I was a kid. Things that used to open and move have all been removed or welded to make them safer, but I don’t think it matters much to kids. When I got too old to play on them, I’d come back on slow news days to bag some wild art. You could always count on finding someone playing engineer after school or on weekends. I wonder if cities would even consider putting something like this on playgrounds these days. I never heard of a kid getting hurt, but there were plenty of sharp edges and levers that could potentially cut off a finger and the fire grate that could crush one. It’s a wonder any of us survived those days. 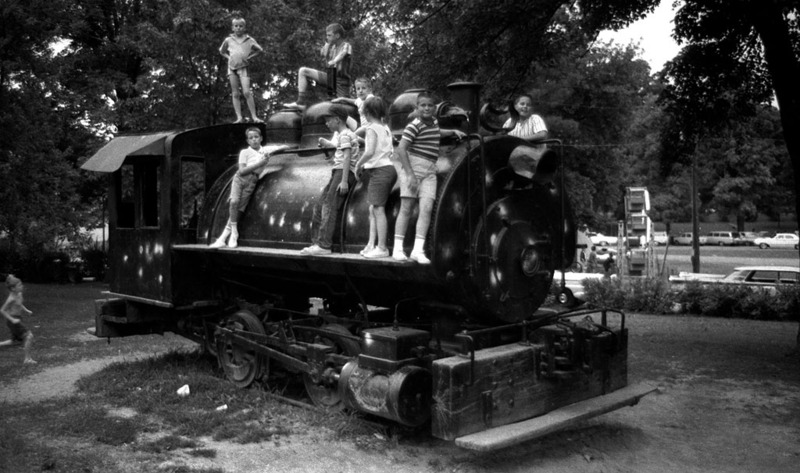 I remember using the Arena Park train in a Back-to-School photo shoot for The Missourian’s Youth Page. I’m sure it’ll show up in my digging and I’ll have one more excuse to run some train pictures. This is cool…I was trying to pick out people I know too…but…no luck this time. I did notice that in the background on the middle shot you could see the the old carival rides that used to be in the park. Mike Stovall and I used to work for “Booty” King the guy who owned them. I think I made the princely sum of .35 an hour, plus we got a deal on a hotdog and coke each day! Big fun and living LARGE when you were fourteen! Thanks for bringing back this memory! I noticed that in the background, but thought it might have been on the back of a truck or something. I don’t remember those rides at all. Can you confirm that the black and white photos were taken at Capaha Park? Wages for kids sure WERE low in those days. When I was hired as a sub to carry papers for another kid, I got $2.50 a week. That’s for delivering six days a week and collecting on Saturday morning. I got a raise to $3.50 a week (probably the biggest proportional raise I ever got) before I got my own route. That’s where I learned how business works. I averaged about $24 a week then and had two wage slaves working for ME. Like you say, that was big money when you were 14. This Capaha park for sure…I played on the Train many times. and the rides were in the park until the late sixties at least. I don’t remember when they were moved. I was probably in Katmandu at the time. I know the color shot with Mark raising his bike was taken at Capaha Park because I have other shots in the sequence that have the pool in it. The other color shot was definitely taken at Arena Park because you can see the Arena Building in the background. What confused me was that the locomotive had been reconfigured in the intervening years. Of course, you and I look a little different these days, too. You can see the circle drive in the background behind the train, so yes, Capaha Park. And about that “cool pose”…once you have it, you never lose it. I lived near the Arena Park when the locomotives were put there and at Capaha circa 1954. I was one of the first kids to try the Arena engine out on the day it was put there. It was still black from coal soot and I got dirty from it much to the chagrin of my mom. The park department then cleaned them up and painted them black. The locomotives were from the cement plant quarry where they had been used for years. The city bought them as I recall for about $1.00 a piece. I’m sure there is a story in the SEMissourian archives that would tell us exactly when they were placed there and how much they actually cost, etc. What memories your pictures bring back. Thanks Ken!!!! After doing a little “Google” research, I found out the locomotives were “donated” to the city by the cement plant in 1955. They originally had “saddle tanks” on them which subsequently have be removed; therefore, the “skinner” boilers. That Google guy, he never sleeps and he knows everything. Being a railroad modeler, I just can’t pass this one up. 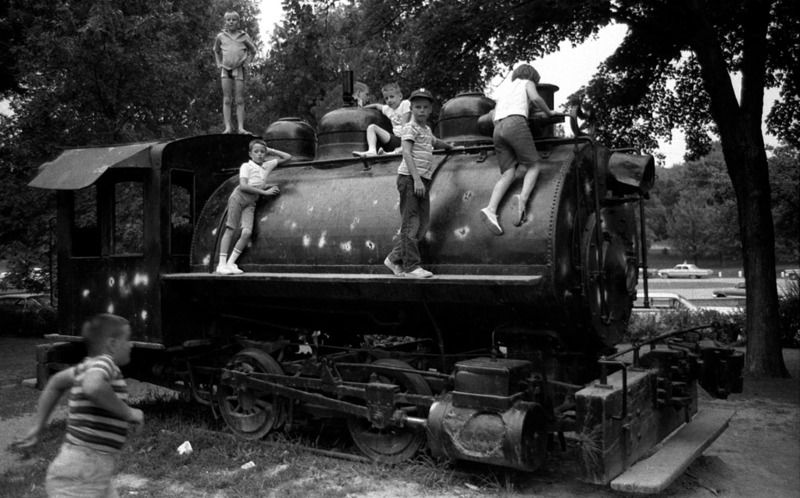 The black and white photos of the locomotive are of the Capaha Park Locomotive. As G. Paul Corbin indicated, both locomotives were known as tank locomotives, meaning there was a water tank saddling the boiler. In the black and white photos, the protuberances above the tank from the front of the locomotive rearward are in order; smoke stack, forward sand dome, steam dome, and the rear sand dome. The sand domes sat atop the tank while the steam dome is part of the boiler; the high point from whence steam is drawn. When the tanks were removed in the 80s because of the asbestos insulation that was underneath them, the sand domes were removed with the tanks. The bells never sat directly on the boiler in either case but were mounted atop the tank in front of the smoke stacks. The empty bell hanger is seen in the pictures of the Capaha engine. 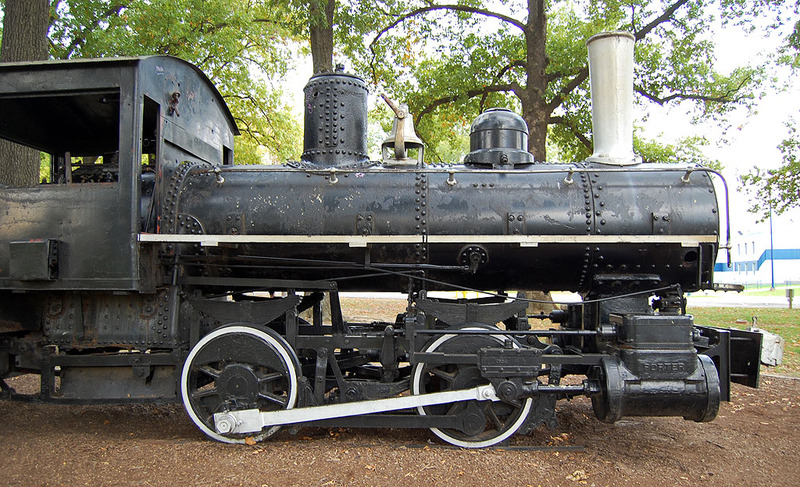 The locomotive at Capaha Park was purchased by the Hawkeye Portland Cement Company of Cape Girardeau in May of 1930. It was built by the Davenport Locomotive Works of Davenport, Iowa. The loco at the Arena Park was purchase by the cement company in October 1923. It was built by the H.K. Porter Company of Philadelphia. Both were donated by Marquette Cement when they were replace by the still extant GE 44 Ton Diesel switcher. I should have figured you’d weigh in on this. Thanks for the info. It’s hard to believe the locomotive at the Arena is getting close to 100 years old. Thank you all for the comments. We enjoyed painting the trains last weekend. 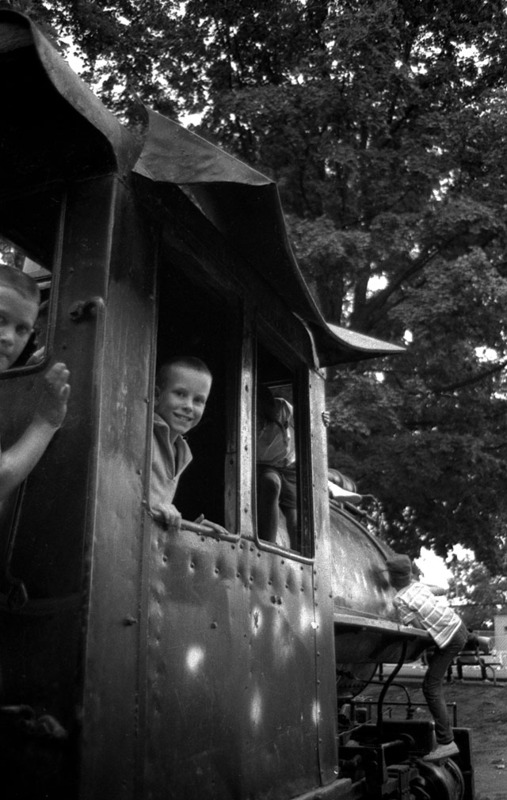 We had several people stop by and tell us stories about these trains and trains of the past. Some got their picture taken. But all of them told us thanks for taking the time to clean them up. The City is going to do some more repairs on the trains. Thank you again. Jody Simmons/President Cape Evening Optimist. Never forgot doing this. A lot of exploring to do in that park, and places to hang out there. We actually lived in So. Ill. but would come there every year for a family reunion. My husband’s grandfather, John Bolen drove or worked on one of the trains in his years working at the cement plant. Not sure which one. 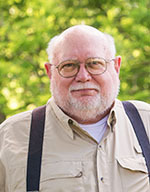 He is Jess Bolen’s (Capaha Baseball) father.